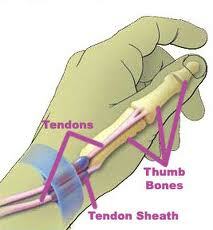 This is an inflammation of the tendon on the thumb side of the wrist. It involves the first dorsal wrist compartment tendons, and feels like soft tissue swelling. The thumb may actually catch if bad enough. 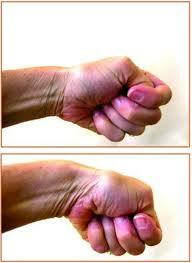 It may be difficult to grip or pinch things when this condition occurs. There are treatments including medicines such as antiinflammatories, injections of cortisone, bracing, and surgery is very successfull as well.